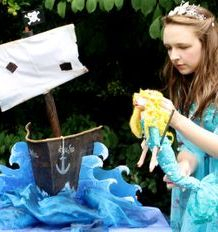 A swashbuckling adventure with sea creatures, shanties and beautiful handmade puppets. 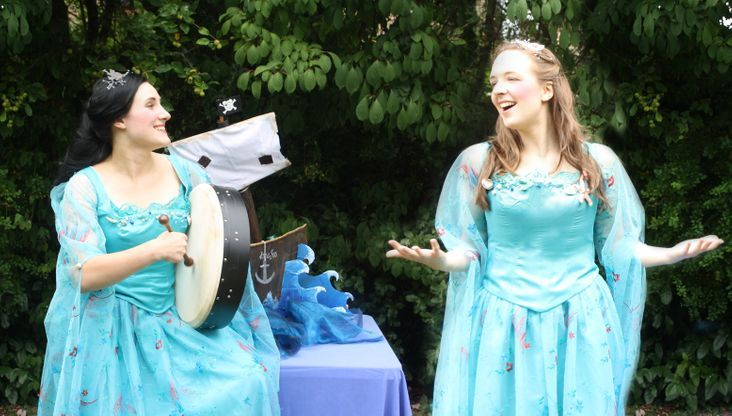 Marina and Miranda are two sisters who live in a secret seaside cove. 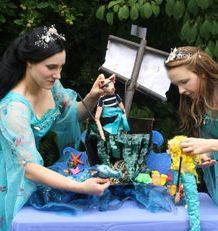 They tend their garden of shells and coral, free fish from nets and keep the sea clean and safe for the creatures. 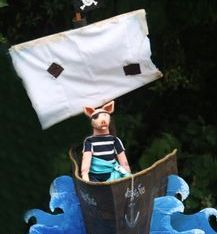 Book The Tale of Piggy Pirate for your party or event now!